ORC is the UK’s leading research centre for the development of organic, agroecological food production and land management solutions to key global issues including climate change, soil and biodiversity conservation and food security. This abstract explores how the organic practice of using grain legumes in crop rotations to help supply nitrogen can be applied on non-organic farms. Practical recommendations for exploring the viability of combining grain peas with barley on your farm. Part two of two detailed informal articles looking at the practicalities of applying a no-till system in an organic horticultural operation and how it relates to soil health. Part one of two detailed informal articles looking at the practicalities of applying a no-till system in an organic horticultural operation and how it relates to soil health. ORC Bulletin article reporting on farmers that have been combining diverse leys with livestock and some of the pros and cons of this practice revealed as part of the DiverIMPACTS project. An FiBL and ORC technical guide to dock control - designed to make you aware of preventative measures you can put in place and help you to manage infested farmland. Everything you may need to know about commercial potato production to help you achieve a high quality product. Includes useful information to help you manage potato blight. An AGFORWARD leaflet that focuses on managing the tree understorey in a horticultural agroforestry system, for increased food production and biodiversity. Invaluable guidance for farmers from the AGFORWARD team on how to plan, create and manage an agroforestry system. An essential guide for organic farmers outlining ways to prevent creeping thistle from taking hold and the most effective control measures. How do we build resilience in local food networks? DIVERSIFOOD offer nine key concepts to promote food diversity for more sustainable and higher quality farming. Leaflet about farmer-led trials about using herbs in pasture, a herd health discussion group and improving udder health through use of a mint ointment. Insights into biofertiliser production emerging as an important tool in the remineralisation of soils. A useful video with a detailed description of how to take a soil sample and interpret it using the spade test. Find out about the DIVERSIFOOD project and the potential part it could play in future farming; increasing crop diversity and creating local high quality food systems. Useful publications from a project that focused on ways of improving sustainability and production in organic greenhouse horticulture. Useful grower insights into protected cropping management to encourage beneficial insects and discourage pests. Antibiotics: can we keep farm animals well without them? Challenges and considerations in selecting animals for low-input and organic dairying systems, and some conclusions reached within the SOLID project. Guidance from the OK-Net Arable project on managing perennial weeds through using suitable machinery and techniques, focusing on stubble cultivation. Guidance from the OK-Net Arable project to help you manage perennial weeds effectively through crop rotations. Interesting research highlighting some of the potential challenges and rewards from growing field beans with wheat. How to design an effective field trial - the basics you need to know to help you optimise yields and try out novel farming techniques. Agroecological approaches are an essential part of sustainable intensification, maintaining agricultural productivity and environmental protection. The potential benefits of growing diverse pasture swards and mob grazing for cattle within low-input and organic dairy systems. The development and attributes of the ORC Wakelyns Population; a diverse wheat population suited to low-input and organic farming. Footage of the launch of the new ORC wheat population - explaining how it was developed and potential benefits. The multiple benefits of combining trees and shrubs with livestock in low-input and organic dairy farms. Tips to help you choose the most appropriate methods to assess and manage your soil health - provided by the GREATSoils project team. A comprehensive review to help you unpick the various tools available to help you assess and reduce your farm carbon footprint and improve sustainability. What does sustainable farming mean to you? A video from the TILMAN-ORG project providing useful insights from farmers who have have adopted reduced tillage on their farms. Exploration of the concept of food quality, looking at differences in sustainability between organic and conventional food production. Details on alsike and crimson clover that will help assess suitability for inclusion in fertility-building mixes, as defined in Legume LINK. Two lesser-used legume species with properties that you can make use of in fodder, green manure or hay crops, as highlighted in Legume LINK. A series of technical notes on low-input/organic dairying systems, helping to provide solutions to key problems at farm-level. New resource that looks at the potential of roughage and foraging to help pig producers meet the challenge of 100% organic feed. How can pig producers meet the challenge of 100% organic feed? New resource looks at the potential of alternative feed sources. What contribution can foraging on range and herbage make to the feed requirements of organic poultry? This new resource considers the options. How can poultry producers meet the challenge of 100% organic feed? New resource looks at the potential of alternative feed sources. Assess the biodiversity status of hedges on your farm & identify management changes needed & suitability of hedges for harvesting woodfuel. Coppicing hedges for woodfuel sustainably; creating renewable low cost energy whilst supporting wildlife and improving the health of hedges. 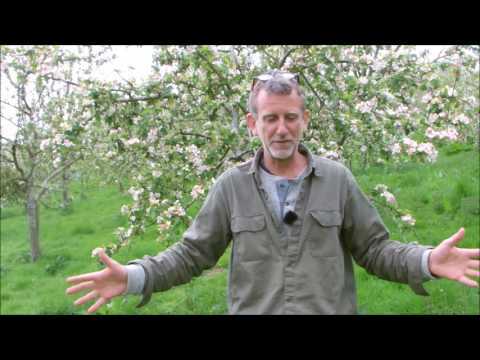 Learn more about Agroforestry and find links to further information and resources. Detailed information highlighting how sainfoin and birdsfoot trefoil might perform in mixtures. This is part one of a series of articles published in The Organic Grower that focus on some of the less frequently used legume species trialed in the Legume LINK project. The OSCAR project Wiki; an interactive website to help spread knowledge about legume and non-leguminous species and machinery and practices. An article outlining properties of three species that could be considered for fertility-building mixes, trialed in the Legume LINK project. The Legume LINK final report, with pointers to help you improve the efficiency of your leys, benefiting crop production and pollinators. Video footage of a member of the TILMAN-ORG project outlining some of the problems and potential solutions associated with reduced tillage. The impacts of reduced tillage methods on crop yield, fertility building and weeds; some key messages from the TILMAN-ORG project. The important role of legumes as a food resource for pollinators and species that can help provide the forage reserves throughout the year.